#OurField is a co-op grains movement committed to change the way we grow grains forever. 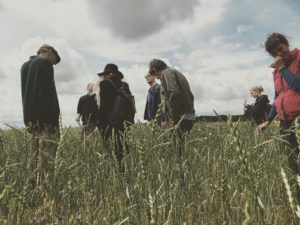 Following two years of research into the culture and economics of wheat growing on a local and global scale, the Field of Wheat project means building relationships with the region’s farmers, representatives of the farming industry, local historians, and researchers. OurField is the live prototype of a co-op grains movement. Sixty citizens have each invested in a farmer’s field for a year. Together with the farmer, they decide what to grow, how to grow it and what happens with the crop. 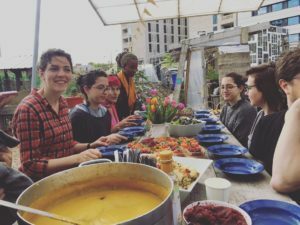 OurField is a shared farming experience: it supports farmers financially and emotionally, and connects mostly city people to what it takes to grow food.